For fans of the classic videogame Spyro the Dragon, the upcoming release of a remastered version of the original Spyro trilogy is exciting news. 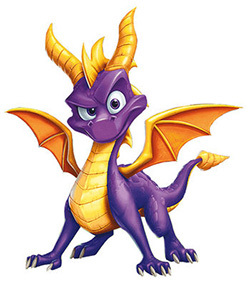 At this week's massive Comic-Con International convention in San Diego, the Spyro games will be the focus of a panel on Thursday, July 19, featuring Michael John, teaching professor and vice chair of the UC Santa Cruz Games & Playable Media master's program, and others involved in the creation of the original games and the newly remastered collection. 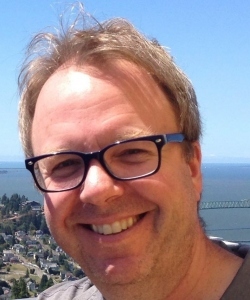 Twenty years ago, John was a producer at Universal Interactive Studios, where he worked with the development team at Insomniac Games on the first three games in the Spyro series, released from 1998 to 2000. Remastering the games means rebuilding them from scratch with updated graphics and other features. "If you played the original game today, it would look dated because the graphics are not up to the same level as today's games," John explained. "The remastered version is essentially the same game—they've tried to match it as much as possible—but it looks really beautiful and modern." The Spyro Reignited Trilogy, developed by Novato-based Toys for Bob and published by Activision, is scheduled for release on September 21, 2018. In a particularly satisfying twist for John, one of his students who graduated from the master's program in 2017, Max Fisher, has been working at Toys for Bob on the remastered games. "When I'm teaching I use examples from that game sometimes. When I checked in with Max recently, he told me he couldn't believe what he was working on," John said. "It's unusual for a first job to get to work on such a high-profile project, so it's a great situation for him." Joining John on the Comic-Con panel will be composer Stewart Copeland, former drummer for the Police, who composed the original Spyro soundtracks. John, a fan of the Police and of Copeland's subsequent work, recruited Copeland to work on the soundtrack by showing him a demo of the game backed with some of his music. John said he was impressed by the amount of work Copeland put into the soundtracks. "One of the things I've learned, as I've been watching the chatter on social media about this remaster, is just how beloved those games were, and the music is a big part of that," he said. Other panelists include Tom Kenny, the voice of Spyro the Dragon in the original and remastered versions, and key members of the Insomniac Games and Toys for Bob development teams.